Bundling and kitting products is a great idea on a number of levels. Kitting (aka “bundling”) is the grouping/pairing, packaging, and marketing of separate but related, complimentary, and compatible products for sale or presentation as one unit. Multiple products are sold as an individual SKU. “Kitting” and “bundling” are interchangeable terms in this context. Companies, merchants, and promotional teams love product bundling because it just makes their job easier, it makes them more effective, expands choices, makes their customers happy, and is a powerful tool for moving merchandise and increasing revenue. Enabling companies to effectively and efficiently bundle or kit products for customers requires an e-commerce solution (platform) with certain essential capabilities—like that offered by Adrecom’s experts. The system must allow sellers to readily create product bundles within their web platform’s back end, from products already available in their online catalog. It also has to be easy to use and error free, all while automatically updating/controlling inventory appropriately. 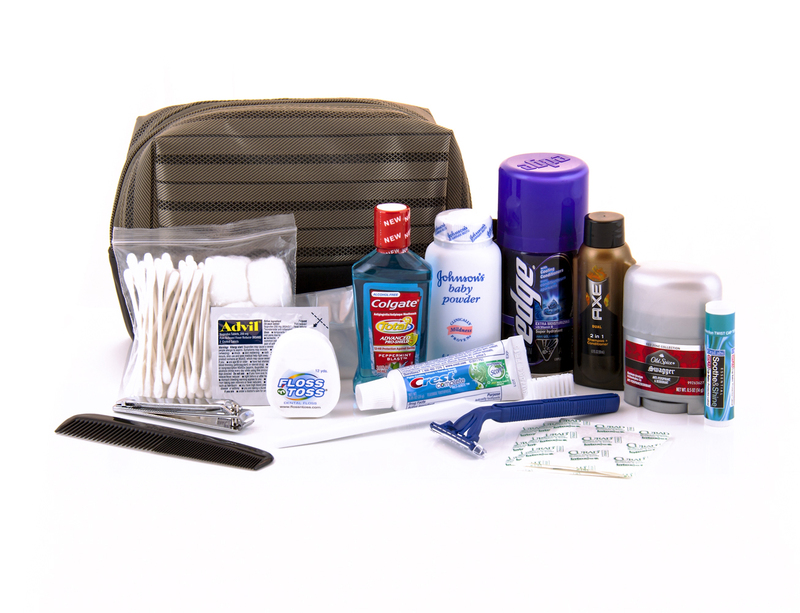 The system has to support kitting and bundling management by seller, and ideally, offer seller’s customers a kit-building wizard that lets them custom bundle seller’s products on their own to suit their particular needs and preferences (as illustrated here: http://www.conveniencekits.com/products/custom-kit.htm). Given the enormous promotional opportunities of bundling, the system must also automate the promotion/posting/duration of bundled items (packages) as elements of the seller’s web presence, product offering pages, and navigation tools to ensure that site visitors quickly and easily see and access bundled product promotions and discounts. 1. Proving Products as Worthy or Useful — Sometimes a new or existing product needs to be “proven.” One effective way to promote a product that may not be getting much traction on its own, or that may be of questionable utility to recipients, is to bundle it with related products known to be in high demand. Kitting in such a way is an effective promotional tool to test or prove an underselling product’s appeal or usefulness. 2. Improve Product Exposure — By packaging, selling and distributing items together, retailers are able to expose their products to customers who may not otherwise seek or be aware of them. 3. Increase SKUs and Flexibility — Each bundled kit is assigned its own stock keeping unit number (SKU), which is distinct from the SKU of each individual product comprising the bundle. For those marketing/selling products online, bundling allows the increase of individual SKUs, but doesn’t require any increase in the amount of actual inventory in stock. Kitting can greatly increase the number of items a retailer offers for sale without actually increasing stock levels, carrying costs, or complicating inventory tracking processes. Product kitting adds sales flexibility since it allows retailers and distributors to move kitted items and individual component items simultaneously. 4. Simplify Choices for End Users — Bundling or kitting related products helps customers by reducing the risk of oversight, or by reducing the need for customers/users to spend time doing their own homework to determine related products also likely needed, or that work well together. This takes the hassle out of shopping for many customers, who no longer have to figure out which individual products or components are compatible. 5. Improve Product Utility and Value — Bundling ensures that end users get complementary items that work together. This reduces return or non-use factors, eliminates waste, and improves end-user/buyer confidence in the products or program. Receiving more items at a reduced price also gives retail buyers the satisfaction of knowing they are getting a good value. This enhances their buying experience and improves the prospect of repeat purchases. While bundled items can be sold separately, some items just sell better together, and grouping items into more easily consumable sets makes a lot of sense. 6. Improved Shipping — Kitting products and packaging them together reduces shipping costs, and saves time, benefits that can be passed on to customers. Customers receive items at the same time, which reduces the hassle of receiving separate deliveries. 7. Customer Satisfaction — Customers and others receiving bundled or kitted products love them because they contain items that work well together—it makes sense to combine separate products that go hand-in-hand into one product packed and delivered together. Bundling the right products and accessories together avoids customer dissatisfaction and lowers return rates over time. 8. Create a Bundle-Based Promotion — When inventory is idle and you want to get it off the shelves, including the slow-moving items in a bundle or kit with other related products that typically experience a higher or steadier demand can be a very effective inventory turnover strategy. 9. Increase Order Values — When compatible products are bundled together, the order value increases, even though prices are discounted. 10. Distinguish Your Offering from Your Competitors’ — By bundling items you offer differently than your competitors do, you give your buyers a way to notice your offering. If competitors sell the same item, you can bundle it with another item that your customers value, which differentiates your products and improves their appeal. Thoughtfully bundled items make their way more readily into customer shopping carts, which improves your competitive position, or otherwise enables your organization to stand out. At Adrecom, we’re all about delivering functional back-end convenience to clients like Convenience Kits International. With our e-commerce bundling systems we help clients improve the value they offer to their markets and programs through easily “kitted” or “bundled” products/services. For our customers, marketing flexibility and consumer convenience is enhanced even further when they deploy our “Build Your Kit” feature. Customization — When online customers create and order bundled or kitted products Adrecom’s bundling system accommodates many customization choices: kits can be custom designed for specific programs, are available in a number of sizes and shapes to fit the needs of any program, and can be custom assembled to customer specifications. Custom orders can be split and shipped to several key distribution locations. System features permit custom fulfillment, staging, and warehousing services for bulk purchases too. Online retail customers won’t have a problem or waste any time bundling products for a perfect kit—it’s is easy to customize using Adrecom’s user-friendly online “build-your-kit feature.” It’s as simple as can be with the website tool to bundle personalized kits from among the various products any online retailer/wholesaler offers. Even better, kits and bags can be designed to fit individual missions and styles, and easily customized/personalized with company logo or unique branding. With the Adrecom bundling system, order details are captured and processed correctly every time. Now that you understand the value and utility of bundling products, we hope you’ll allow us to help you implement an effective online bundling and kitting feature—so you can better serve your customers, meet their particular program or retail needs—and make others’ lives a little easier, better, or just more convenient. We solve problems by helping you bundle life’s little conveniences all in one package, easy to share with those who need them most—in the way that they need them. Please contact us for more information on how your company can seize the advantage of effective product/service bundling and kitting.